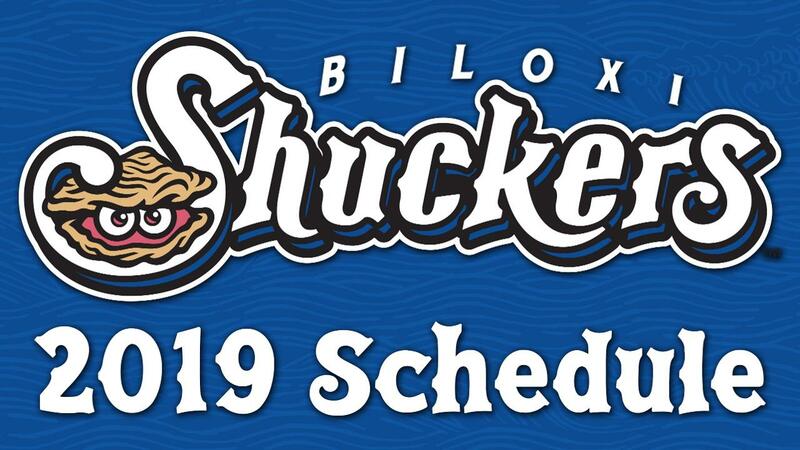 After announcing that they will host the 2019 Southern League All-Star Game, the Biloxi Shuckers are excited to reveal their 2019 schedule. The 140-game schedule, with 70 home dates, starts at MGM Park on Thursday, April 4 as the Shuckers host the Birmingham Barons to start the season. The Shuckers conclude their home schedule on August 27 against the Mississippi Braves. Biloxi will open their season at home for just the second time in franchise history as they welcome the Birmingham Barons to town for a five-game series. The Shuckers then travel to Montgomery for five games before returning home for ten games against the Pensacola Blue Wahoos and Jacksonville Jumbo Shrimp. The 70 home games for the Shuckers are spread out over the five-month season. Biloxi has 15 games at home in the month of April, 14 games in May, 12 games in June, 14 games in July and 15 games in August. The Shuckers will have two separate ten-game homestands, with the first coming from April 15 to 24, and the other from July 27 to August 5. As they did in 2018, the Shuckers will host their Independence Day game on Wednesday, July 3 against Mobile. Biloxi will matchup against Mobile 18 times during the season, with 9 games coming at each ballpark. The Shuckers most frequent opponent, yet again, will be the Mississippi Braves, who will take on Biloxi 21 times during the season. The Shuckers will host the 2019 Southern League All-Star Game on Tuesday, June 18, marking the halfway point of the season. It is the first time that the Southern League All-Star game will take place on the Mississippi Gulf Coast. Start times, promotions and tickets for the entire 2019 season will all be available at a later date.